Women’s Basketball cruised past Rhode Island Sunday 78-39 behind sophomore guard Tera Reed’s 16 points. 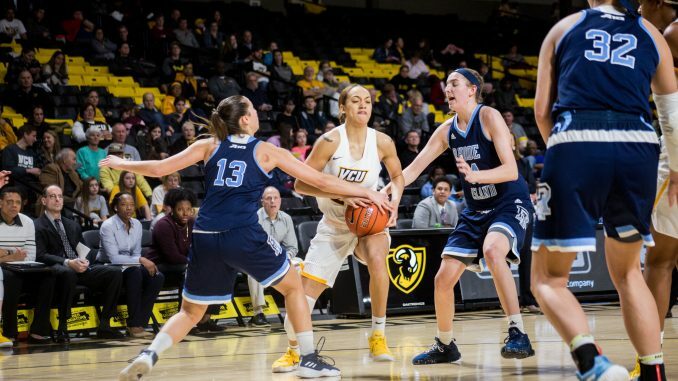 The Rams extended their win streak to eight, including five in a row in the Atlantic 10 — the first time in history that VCU has gone undefeated in conference play through the first five games. After a sluggish start, VCU went on a 21-0 scoring streak lasting until early in the second quarter. Threes were the focal point of VCU’s scoring. The Rams finished the day 10-17 from three, as Reed led the way with a career-high four 3-pointers. “I would say I was just feeling it tonight,” Reed said. Dominating on both offense and defense, the Black and Gold took a comfortable 38-12 lead into halftime. Maintaining a large lead, all 14 Women’s Basketball players got on the court against Rhode Island and 13 of them scored. Coach Beth O’Boyle said she was pleased with her team’s performance. All season, the Rams have been one of the nation’s best on the defensive side of the ball — that continued Sunday, as the team held Rhode Island to 39 and 0-13 from the 3-point line. “I think our players are really buying into our identity of defense and [it] shows on the court,” O’Boyle said. 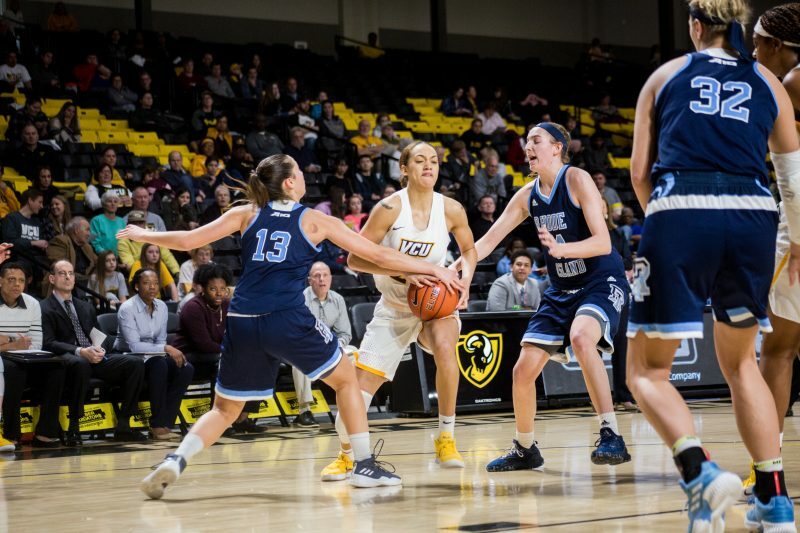 VCU will take its seven-game win streak on the road Jan. 23 against George Washington and will then host Saint Louis Jan. 27.